The Newest and Coolest Paving Stone - Outdoor Porcelain Pavers! Porcelain Pavers are new to the industry and are quickly gaining in popularity. 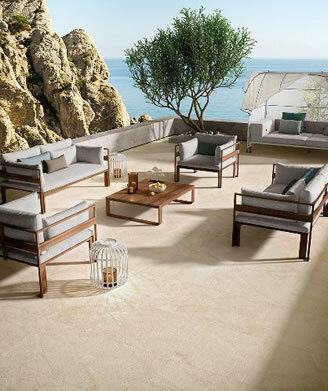 Extremely durable and stylish in design, porcelain pavers are a pioneering design solution to creating a contemporary sleek style, not only for your indoor space - but for your outdoor rooms as well. 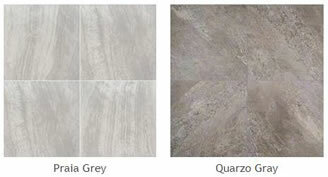 Porcelain outdoor pavers are available in natural stone. It looks like travertine, quartzite, limestone, and slate - as well as concrete and wood looks. This new generation of paving stone is perfect for decks, walkways, patios and pool areas. Offered in several sizes and accompanied by coordinating copings, porcelain pavers unlock limitless trend-setting design opportunities. Stop in and see our in-ground design showroom for ideas and to learn more!